Denton, Texas is a city that lives and breathes music. Stay here a few days and you’ll see that it’s a community-wide phenomenon. Every other person you meet is a musician, and those that aren’t have a love and respect for music that borders on obsession. 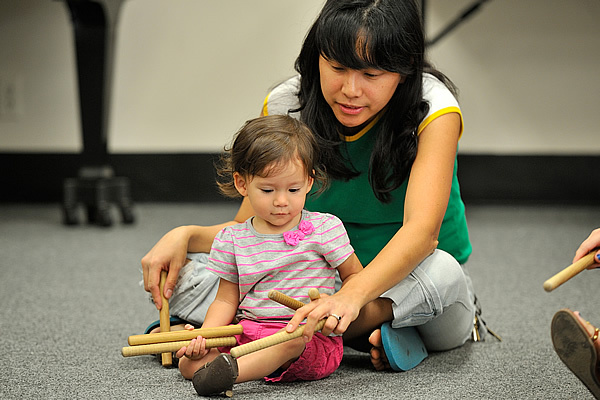 The UNT Early Childhood Music Program provides quality musical experiences for Denton’s youngest citizens, engaging infants and children in a variety of music activities that explore singing, listening and movement. The program also provides additional teaching experiences for music education students. Since associate dean Warren Henry started the program in 1996, the program has served more than 1,000 families in Denton and surrounding communities. Research has shown that the early childhood years are critical for language development — and the language of music is no exception. Music is learned in much the same way that language is learned. Just as children learn to speak from being in a rich, language-filled environment, children become musical through exposure to a rich, music-filled environment. Like language acquisition, musical development occurs sequentially, moving through stages of listening, vocal exploration, and music babble, which eventually lead to beat competency and accurate singing. 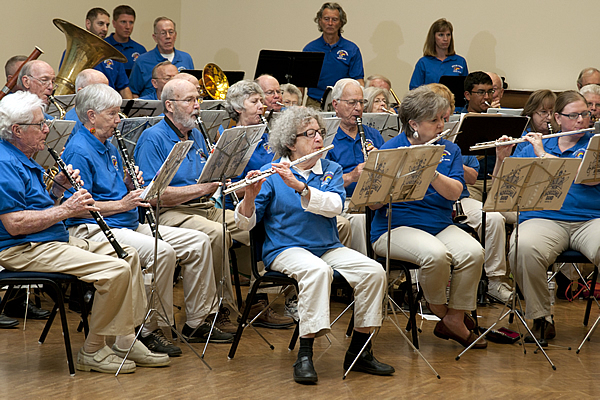 The program is designed to create a rich musical environment for children. Some children will be active participants, while others will prefer to watch and absorb. Classes differ according to the age levels and readiness of the children, but all classes include songs, chants, movement and instrument exploration.